The Office of Housing & Residence Life firmly believes that residential experience significantly contributes to the educational and developmental growth of the individual student. It is our responsibility to offer students safe, affordable, and well-maintained residential facilities, complemented by exceptional customer service from highly trained staff. We believe that the residential communities are more than just a place to study and sleep. All the information in the parents and family section will help you and your student have a successful transition and to help maintain a healthy relationship between your family and the Office of Housing and Residence Life. We encourage your feedback and your participation in your son or daughter's college experience. 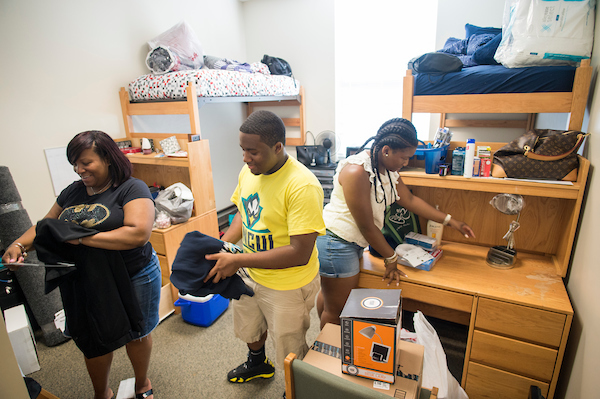 Thank you for making UNCW's Housing and Residence Life your student's home away from home.